Tel 01283 73 00 88 Email [email protected]. Orders and payments are accepted by phone or you may order securely online. Payments can be made by debit or credit card, Paypal or cheque. Our website is PCI certified and ICRA rated. All information is taken securely. No details are ever passed to a third party. 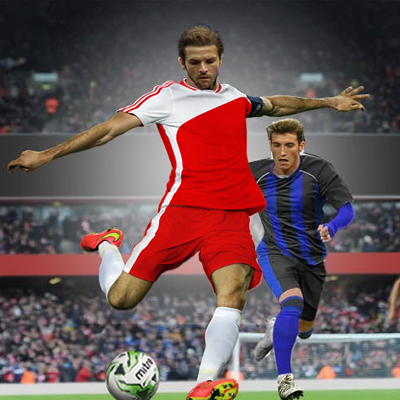 We supply football kits to football clubs, schools, universities & HM forces, local authorities and blue chip companies offering massive discounts on all our team football kits if you're looking for budget kits welcome to Prosocceruk. Even if the budget isn't tight it's still nice to know that team football kits are available at discounted prices. Our football team kits are available to all age groups, we have a vast range of Kids, Youths, Mens and Ladies Football Kitsat discounted prices to suit every teams budget, Football kits can be purchased as strips or for 5 a side, 6 a side, 7 a side and 11 a side teams.